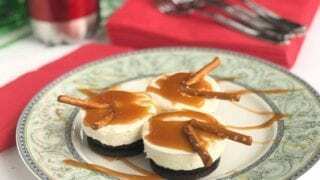 Mini Cheesecake Drums Recipe – Celebrate the 12 Days of Christmas with Sweet’N Low! 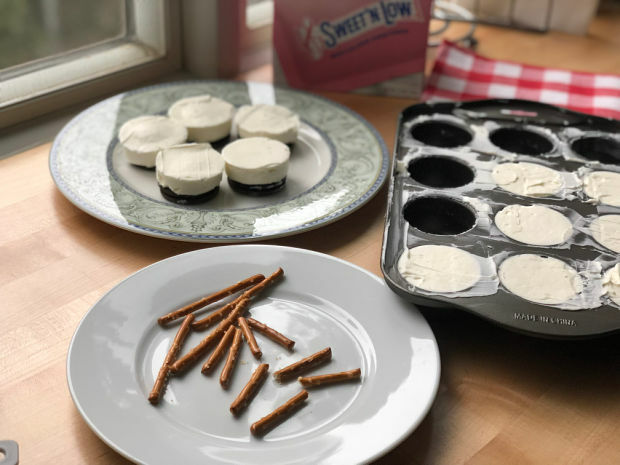 This year I’ve teamed up with Sweet’N Low®, along with 11 other bloggers to celebrate the “12 Days of Christmas” through delicious desserts! 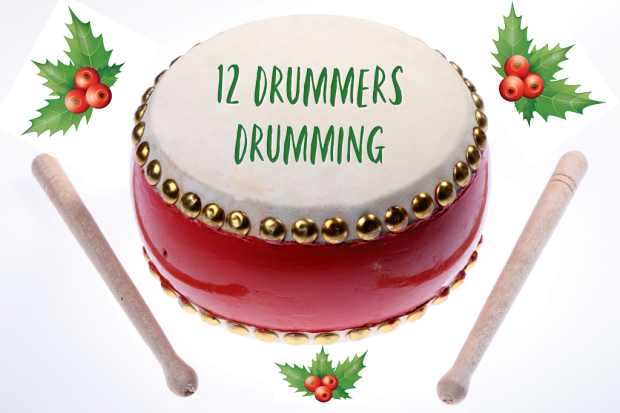 My Mini Cheesecake Drums recipe represents the 12th and final day of Christmas, as well as the final verse of the song, “12 Drummers Drumming”. It even comes complete with drumsticks, in the form of pretzels! My recipe, like the 11 recipes before me, gets its sweetness from Sweet’N Low®. 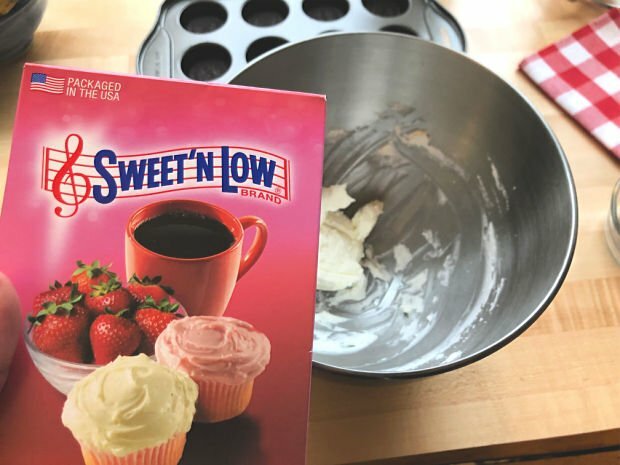 You probably already use the pink packets of Sweet’N Low® zero-calorie sweetener to sweeten your coffee, but did you know you can also use it for baking? 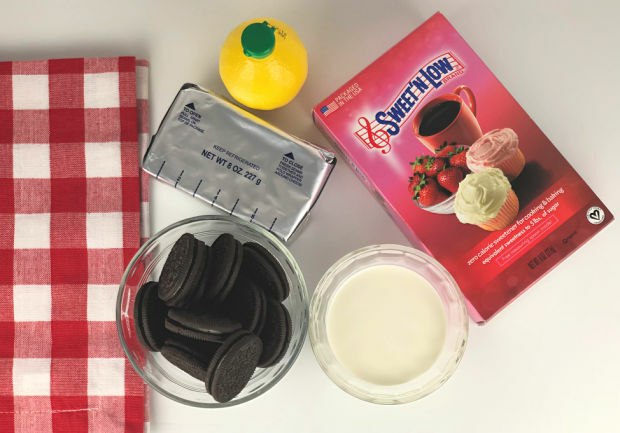 One packet of Sweet’N Low® is as sweet as two teaspoons of sugar, which helps to reduce sugar and calories both in your beverages and in your baking. When baking, 8 teaspoons of Sweet’N Low® are equivalent to one cup of sugar. When converting your own recipes to use Sweet’N Low®, keep in mind that it’s recommended to keep 1/2 of the sugar in the recipe to ensure proper volume, texture and browning. 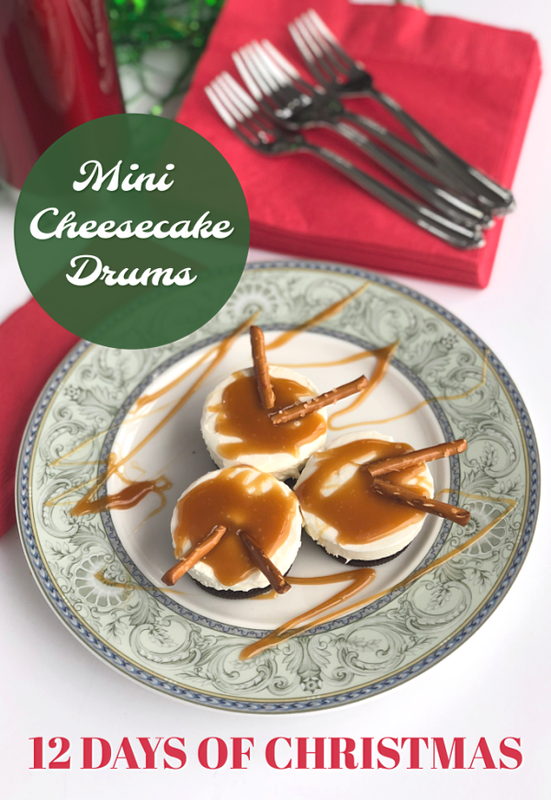 Since my “12 Drummers Drumming” Mini Cheesecake Drums Recipe is technically a “no-bake” recipe, there is no need to keep sugar in the recipe. I want to start with one tip for making this recipe. One of the first steps is whipping heavy cream. To make this easier, make sure both the cream and your bowl are very cold! Since I’m in Minnesota in December, I just stick the mixing bowl and whipping attachment from my stand mixer outside for a few minutes and that does the trick. 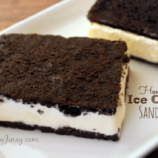 If you’re in a warmer climate, you can place it in your freezer. Place a cookie in the bottom of each compartment of a mini cheesecake pan. 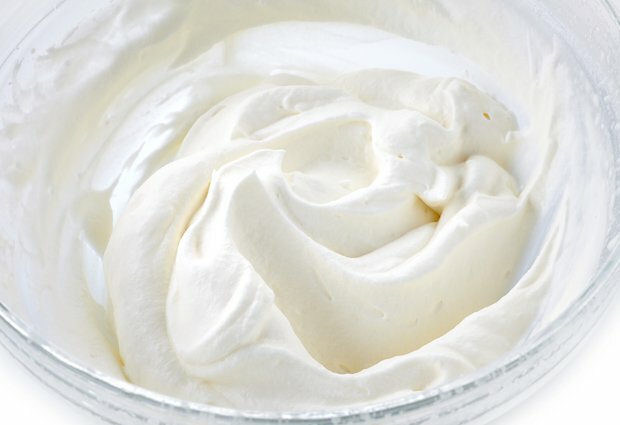 Move the whipped cream to another bowl to use in the next step. 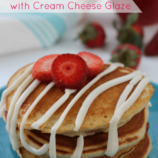 Add cream cheese, Sweet’N Low® and lemon juice to bowl. Add whipped cream to bowl and mix until smooth. Add cream cheese mixture to each compartment of pan until filled to top. Use a spatula to smooth tops. Place in freezer for an hour or until firm. Break pretzel sticks evenly in half. Remove cheesecakes from pan and place on serving dish. Slightly warm caramel sauce so that it can be poured. 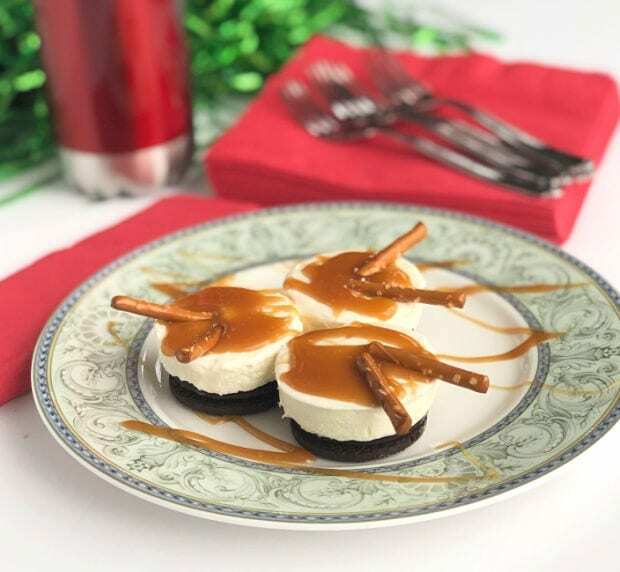 Top each cheesecake with a drizzle of caramel sauce and two pretzel sticks. Day 9: Cranberry Orange Dream Bars – You’re on it! These look amazing and so delicious! Seems almost a shame to eat them! 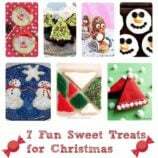 What a lovely fun recipe idea for a holiday dessert. Those drums look so yummy and relatively easy to make you and even have the kids involved in the preparation process. Thanks for the inspiration. Aww that is so creative and cute. I love that. Mini Cheesecakes do look like drums. Love the suace.. looks yum and perfect for the kids. 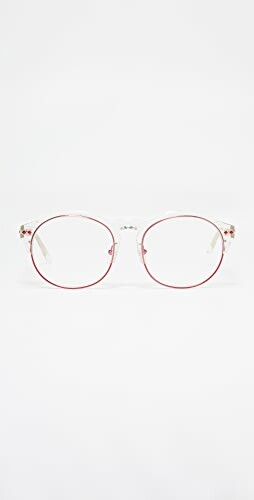 I can’t get over how cute these are! 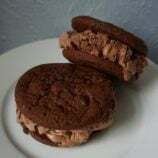 Definitely making these for Christmas! I haven’t had sweet n low for years! Great idea to bake with it! I love any Christmas song that is going to get my husband out of the kitchen! These little cheesecake drums are so perfectly festive, I can’t imagine anything better for a holiday dessert. Oh yum! I love cheesecake and these are so cute. I don’t like cheesecake but my family does. 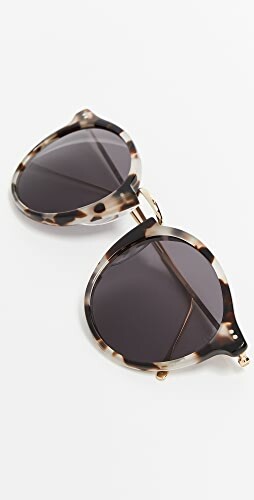 I would like to try to make this for them. 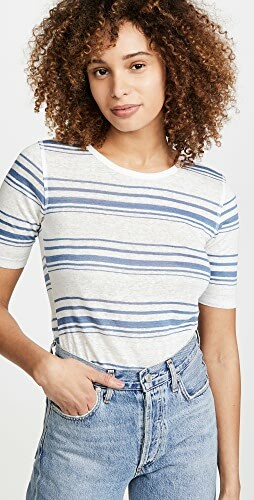 Shop Graphic Hoodies, Red Blouses, Pink Flat Shoes, Present Ideas and more. Get this widget.